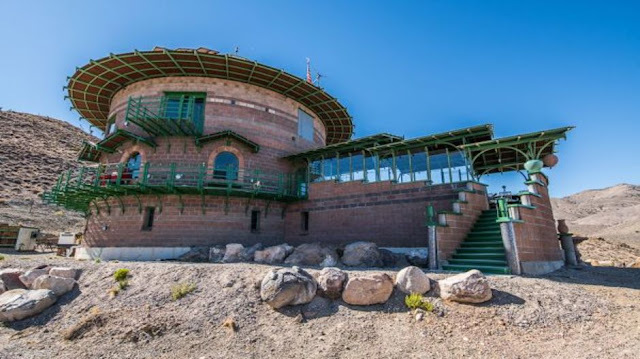 This four-story, 22-room, 8,000-square-foot castle for sale for $900,000 in the Nevada desert is one wild home. 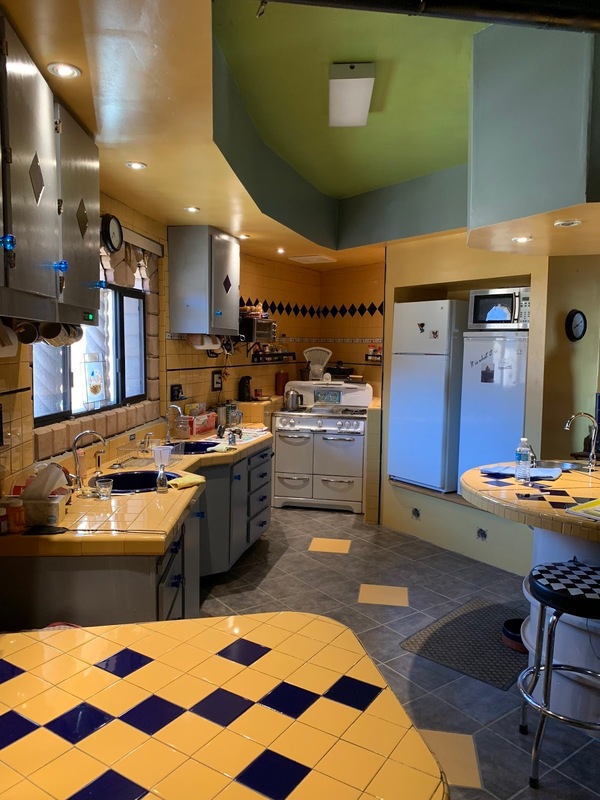 "In a lot of ways, it's a 'doomsday prepper' dream home...extremely self-sustaining, secure and — admittedly — quite odd," Jake Rasmuson, who is marketing the property, tells CNBC Make It. "Basically this property is an enormous, privately owned fortress with 16-inch-thick concrete walls and self-sustained energy systems using solar and wind, and with a 4,000-gallon water storage/rain catchment system. 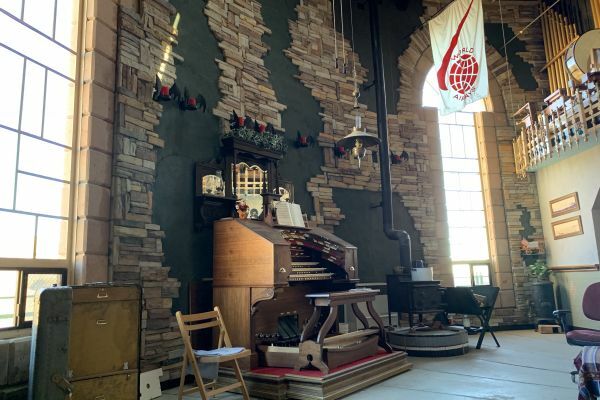 It's located in the middle of the Nevada desert, and the owner has added two enormous, vintage pipe organs which resonate through the halls. Makes me think of Captain Nemo playing the organ in 20,000 Leagues Under the Sea. Or Nero fiddling. Still, I wonder how well it would all work after the North Korean EMP blast. 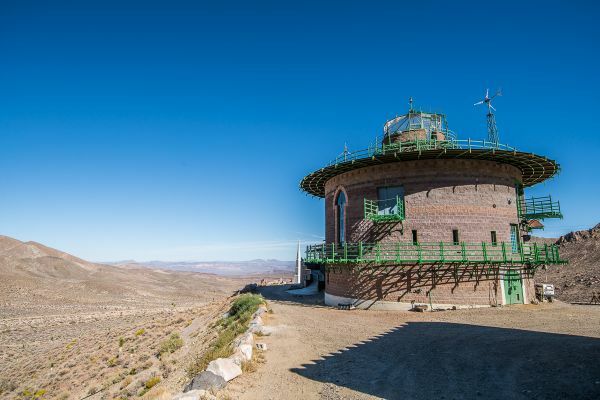 The Hard Luck Castle was constructed between 2000 and 2012 with engineering that is designed to last 400 to 500 years, according to the property listing. It's made of steel, concrete, cinder block and glass. More than seven tons of rebar and 24,000 bricks were used to build the castle, according a website about the structure. One of two pipe organs. Imagine playing that during a wild desert thunderstorm! This part actually looks quite nice. if bad taste was black powder you wouldn't want to strike a match. It looks like a nice place to live. But I don't think it works very well as a fortress. The stairs are masking fire from the defenders to one side of the "castle". The stairs are themselves covered by a roof and a wall, so an attacker can get close to the doors without getting seen. The "porch" around the tower obscures the view of the defenders, too. The windows are easily accessible, as well. You would need a couple of vigilant guys on the roof at all times, and they would have to keep anyone and everyone at bay, without fail. It would be a magnet for every Mad Max refugee and wanna be tough guy for hundreds of miles around. If ya gonna build a bug out in the desert, ya gonna want to have it as inconspicuous and camouflaged and defensible as possible. I wondered where my old oven went. If there were an neucuar explosion, it seems the weak point would be the rain container water system. Black water from fallout... Otherwise, the is no Waffle House close by. I'll pass. That would be one reason for a curtain wall, at the very least. This is a "castle" in the very broadest sense of the term. It also appears to be the sort of place where you have to "bring your own job". cause it is a long way to the nearest place which might be hiring. 4,000 gallons of rain water storage. What's that, about 10,000 years worth of rain out there?